Low tides are a walker’s paradise. The sea recedes, exposing vast flats of compact sand, interspersed with rocks and tidepools. We are used to burning calories as we toil on shingle beaches, but when the sea pulls back we head down for the easier walking offered by the wet sand. We keep our heads down, looking out for all sorts of interesting finds which are left behind by the tide. Today, in the distance, we could see the Arun Offshore Platform. This stands about two miles out at sea and hosts oceanographic and meteorological equipment on behalf of the Channel Coastal Observatory. This morning, however, the best sights were to be seen by looking up. The half moon was still visible. 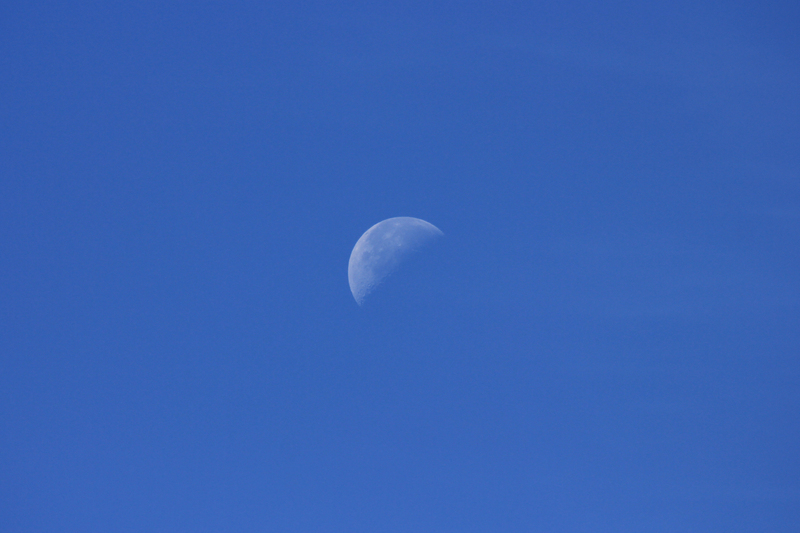 The day was clear enough for us to make out craters on its surface. 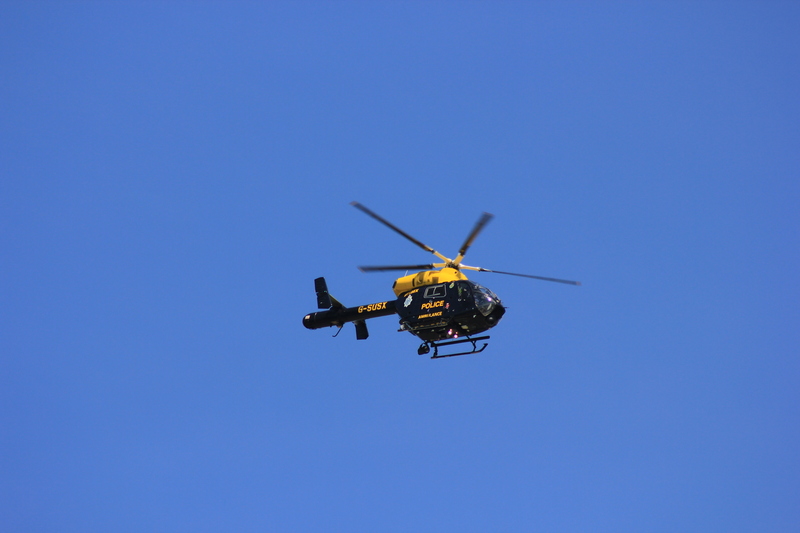 A police helicopter appeared, also looking striking against the crispness of the sky. 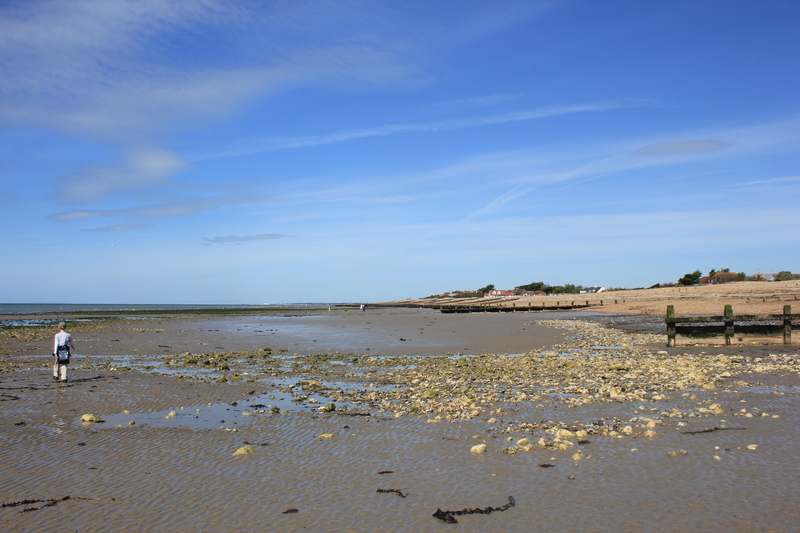 Yes, low tide on a summer’s morning is most definitely our favourite time to walk. This entry was posted in West Sussex and tagged coast, helicopter, low tide, moon, offshore platform, travel, walking, west sussex. Bookmark the permalink.